Interactive voice response (IVR) solutions include automated phone answering systems, call processing software, and IVR hosting services. These solutions are provided by Database Systems Corp. (DSC). DSC is a leading provider or call processing solutions and can design, develop and implement simple to complex call programs for your organization. DSC IVR phone systems incorporate the latest technologies from Intel and Microsoft Corporation. The telecommunications boards are Dialogic IVR control boards and handle the call processing elements of these phone systems. DSC is an IVR vendor that provides hosted IVR services at our automated call center located in Phoenix, Arizona. DSC provides IVR services for customers located throughout the U.S. and Canada. Contact DSC to learn more about our IVR call processing solutions and services. DSC provides IVR solutions to many business and community organizations. Here are the different types of IVR solutions available today. To deliver phone applications and services, DSC has developed two series of phone systems, the WIZARD analog and the PACER digital phone systems. These IVR systems (IVRS) are provided to our clients who wish to purchase their own system. They are also used exclusively at our own call centers for processing inbound call applications. Our WIZARD IVR solution supports 4 to 48 analog phone lines. The PACER system supports 24 to 480 digital phone lines. These systems can be networked to provide a far greater number of digital lines. DSC provides a comprehensive IVR software library of routines that can be called using most modern computer languages. Our IVR software uses voice recorded prompts and menus to present information to callers. Touch-tone telephone keypad entries are gathered from the caller to collect information and to provide navigation through simple to complex IVR menu structures. Our IVR software provides information back to the caller in the form recorded messages or data converted using text to speech. The IVR can also route the caller to an agent or transfer the call to an outside phone number or extension. Our experienced staff of IVR developers can analyse your phone application and develop a calling campaign that meets your objectives. Your unique calling answering campaign does not have to conform to a static IVR solution. An IVR designed by our professional programming staff will process inbound phone calls according to your business rules. These centers provide secure and redundant enviroments for the maximum protection of our outsourcing clients. From small calling campaigns to projects that require text messaging and voice broadcasting, our call outsourcing center can do the job! Contact DSC to learn more about our IVR call processing services and phone systems. Database Systems Corp. provides comprehensive IVR solutions including automatic phone answering systems and services. These Small Business IVR systems are ideally suited for businesses and departments of large organizations that are looking for a cost effective tool for answering phone calls automatically. Included with these products is a full featured IVR software development toolkit. An IVR provides callers with the ability to automatically obtain information or perform transactions using a phone system. DSC provides outsourced IVR services at its secure and redundant call center located in Phoenix, AZ. DSC IVR hosting services include complete development and testing of IVR applications as well as hosting the applications on DSC's phone systems. DSC specializes in creating IVR software, interactive voice response systems and custom IVR development services. Linux IVR - IVR programs run on linux processors that are networked with the DSC IVR phone systems. Windows IVR - DSC IVR phone system is housed on an intel processor running Windows OS. Applications can likewise run on networked Windows systems. Dialogic IVR - DSC IVR systems employ Dialogic telephony boards and utilize Dialogic software. IVR Solutions From Database Systems Corp. Custom IVR (Interactive Voice Response) applications are available from Database Systems Corp. (DSC). DSC provides both custom IVR phone systems for its clients as well as custom IVR applications for its outsourcing service accounts. These IVR programs are developed using our experienced and profession staff using best practice standards and are operational in a wide variety of industries and across commercial and community programs. Outbound IVRs - voice broadcasting with phone key options. IVR Hiring By Phone - Conduct phone interviewing using IVR technology. 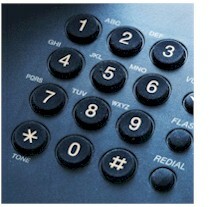 Interactive Voice Response Systems - IVRS phone systems processing IVR calls. Interactive Voice Response Services - phone applications running on DSC's IVR call center. Interactive Voice Response Equipment - Call center IVR phone systems based on Dialogic and Intel components. Interactive Voice Response Software - IVR software controls the IVR phone system. Interactive Voice Response Applications - computer programs that control specific client IVR applications. Interactive Voice Response Solutions - computer phone systems and software programs that control specific client IVR applications. Interactive Voice Response Technology - combination of IVR systems, IVR software that comprise IVR solutions from DSC. The following are IVR websites and web pages that relate to Database Systems Corp. IVR products and services. DSC provides IVR solutions for many different industries and companies as well as government organizations. The following additional information is available on different websites and web pages. IVR from Database Systems Corp.